Screamworks Records reunites with composer Holly Amber Church (Worry Dolls, Rites of Spring), releasing her intense horror score for Preston DeFrancis' Ruin Me. The film takes place at Slasher Sleepout, a crossover between escape room, a haunted house and a 36-hour endurance trip. Though she has never even seen a horror film, Alexandra (Marcienne Dwyer) reluctantly tags along with her boyfriend, but as the other campers start to drop like flies, it's up to the horror virgin to unravel who is responsible for the real-life murder and mayhem. Ruin Me premieres July 19 on AMC's Shudder network. 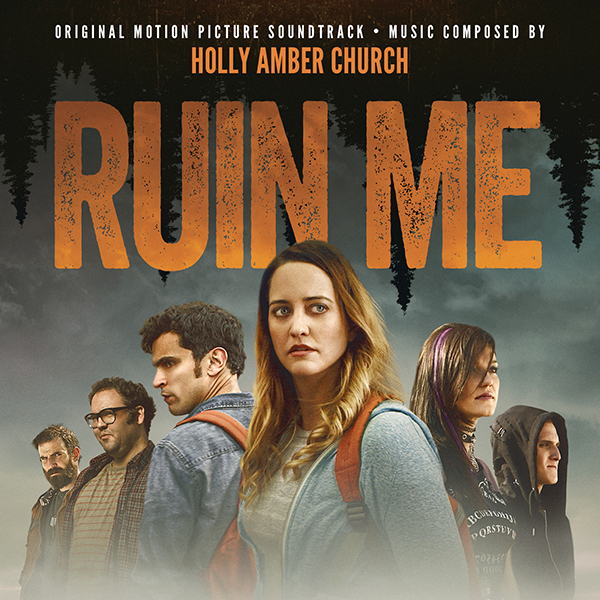 “Working with director Preston DeFrancis on the score for Ruin Me was an incredibly fun adventure!“ says Holly Amber Church about the music. “I knew I was in for a treat when Preston shared his vision for the music, including his focus on themes and strong melodic material. Throughout the film, these themes help tell the story by morphing, melding, twisting and turning - much like the movie does. My hope is that fans of the film will enjoy the experience of the soundtrack album - a different way to go on the thrill ride that is Ruin Me. Holly Amber Church has scored many films including the viral hit and epic sci-fi short film Archetype created by concept artist, creature designer and director, Aaron Sims. She wrote the gritty score for Padraig Reynolds’ crime thriller/horror feature Rites of Spring, and the orchestral thematic score for his supernatural thriller The Devil's Dolls, both which were released by IFC Midnight with Screamworks Records releasing the official score soundtracks on their label. Holly’s current projects include the inspiring biopic Butterfly in the Typewriter with director David DuBos and the supernatural horror The Toybox with director Tom Nagel - starring Denise Richards and Mischa Barton. Her score for Ruin Me was nominated for Best Original Score at the Women in Horror Film Festival in 2017.